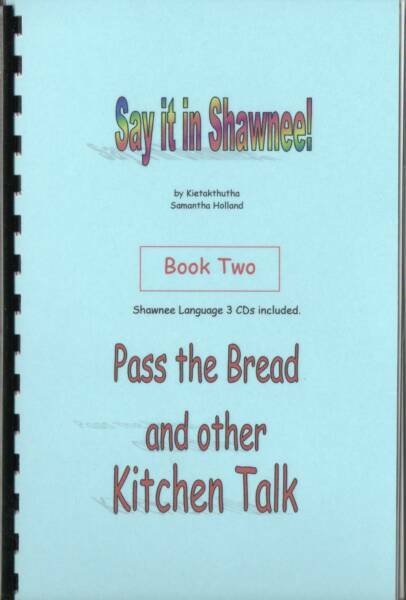 This is the second in a series of books emphasizing conversational Shawnee. This book was written for conversation around the table and activity in the kitchen This is a 136 page comb bond book with a laminated card stock cover. It is easy to carry with you for reference. 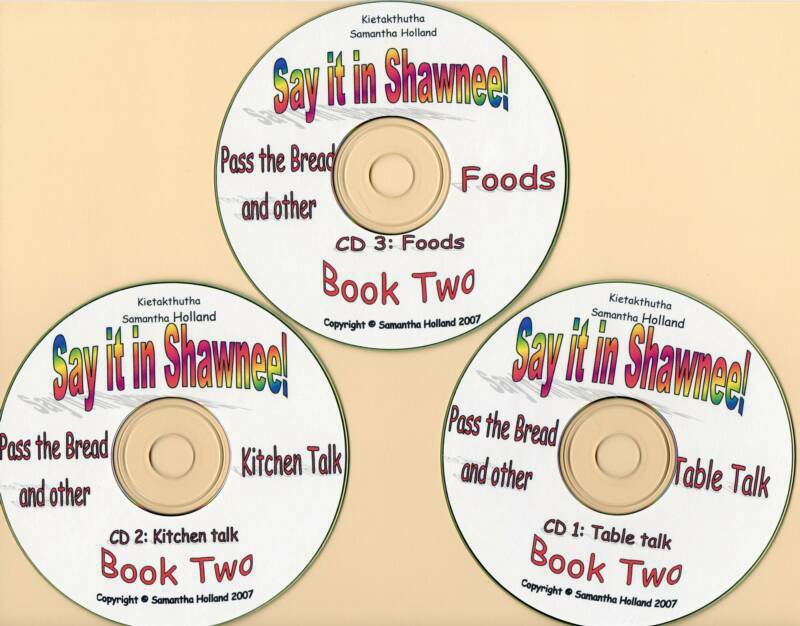 Book Two: Pass the Bread and other Kitchen Talk!